Because of the sheer number of reviews, you can sort them above to quickly find LessLoss products of interest. 1. Better transient definition,especially in the bass. 2. I was able to actually angle my monitors out to get a wider field without sacrificing center image. I have owned the Shunyata Zitron Anaconda & LessLoss Reference DFPC power cable at the same time. After comparing them on my Devialet D200 system, I observed that the LessLoss power cable was much better than the Shunyata power cable. The sound is more solid, more dynamic, more clear, there are more details & it is more musical. Higher C/P ratio compared with Shunyata cables (2/3 price only). Highly recommend for all Devialet users. I own this power cord since a few years, after having been given the opportunity to audition it alongside the other LL power cords models, in my own system, thanks to Louis Motek friendlly, professional and patient customer service. The DFPC Reference has been a pillar of my stereo system since then. If you can afford it, it is by far the best sounding model in LL range, not just a slight improvement for many more $$$ like with a lot of other manufacturers. Actually, as Louis advised me, when coupled to a high quality (but not that expensive) power strip like BPT products, you get a high quality and great value power distributor for your whole system, that beats a lot of far more expensive power conditioners (that often thicken or slow the sound IMHO). Naturally, it works wonders to power directly a particular component, I use it on my Dartzeel amplifier to great results. I compared it to other very well known - and sometimes more expensive, power cords and the DFPC reference was the clear winner, much more open sounding, airy and "atmospheric". In my experience the DFPC Reference is one of the bona fide best quality power cords in the market, and offers remarkable value for money. It does not hurt that the build quality is superb. This is top of my list for power cables and I have tested or owned everything, Audience, Shunyata, JPS Aluminata, etc. I use this cable in my dedicated room reference system on a Devialet 200. Just perfect. Power, space, impact, but most importantly, neutrality. No hype, no sheen, no bloated bass, just the music. Yes, I had heard definite changes in sound character when switching between power cables, but was the sound just different or was the sound quality actually better? I believe a lot of people tend to think of these two aspects as one when listening to changes in sound character. A change in sound character is by many easily confused with "something got better", i.e. sound quality. This is due to how our hearing works. Our hearing, for evolutionary reasons, is best at for example picking up changes in sound and a identifying a specific sound (like speech) in a otherwise noisy environment. Using your hearing to point out what sound sounds better than other sounds takes practice. It's a bit like knowing how to find a good wine - all wines are different but you need to know what you are looking for when deciding what's good and what's not. The same thing can be said about changes in sound quality when using different power cables and power filtering devices. You have to be able to discern and separate the numerous nuances and characteristics that makes up music to tell if a sound or a whole pice of music sounds more lifelike or not. This usually takes some practice and is also one of the reasons why many audiophiles use high quality recordings of the human voice when reviewing hifi gear. We all have a similar reference of how a voice should sound in order to sound convincingly natural and lifelike. 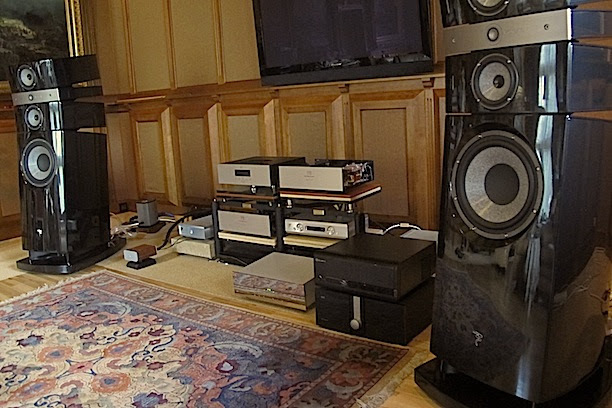 However, the impact on sound quality made by the DFPC Reference is so apparent and unquestionable that even a person completely unfamiliar with the intricacies of high end audio immediately can hear the sonic benefits of the DFPC Reference in any given hifi system. The DFPC Reference achieves a very dynamic, highly defined, coherent and - most importantly - extremely lifelike sound. 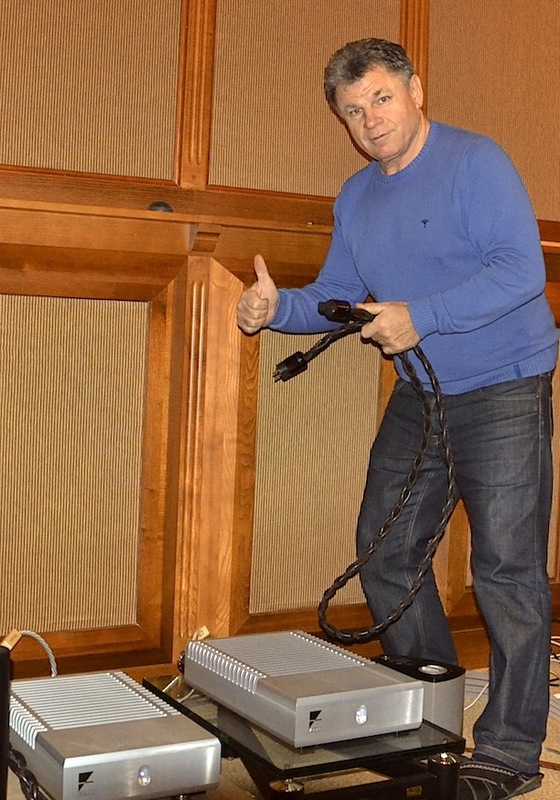 With first the DFPC Original and now the DFPC Reference in my system I know for sure that power cables not only affect sound quality, but have a substantial impact on your system's ability to produce a high quality sound. The proof is there for anyone to find with the DFPC Reference. Just give it a listen. Highly recommended! 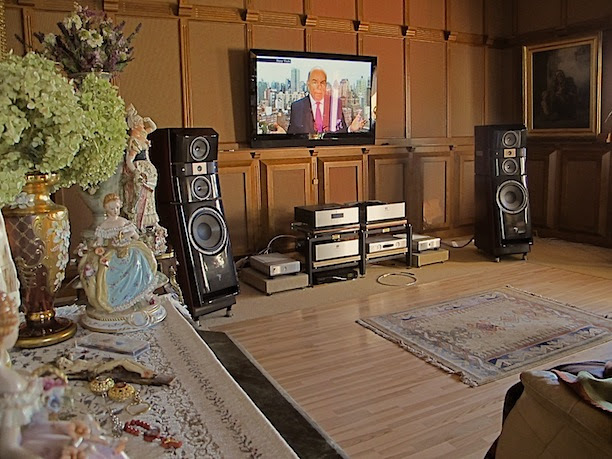 Over several days and at different times during burn in, I hosted an intensive power cord shootout in my prime listening room. My room was custom built according to plans drawn up by our best local acousticians. 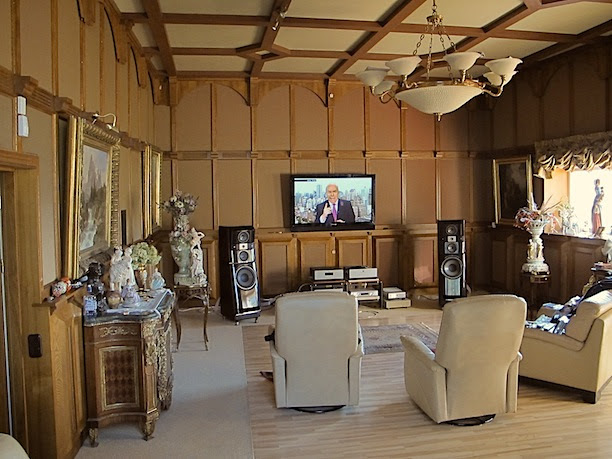 The dimensions of the room are acoustically generous. After acoustical modeling with specialized software, repeated measurements were made during different phases of the building and installation process, to ensure that real-world results indeed follow. This space is some 6.5m wide, 10m long, and 5m high (21 ft. wide, 33 ft. long, 16.5 ft. high) in size. The side walls are not parallel, nor the front and back walls. The structural ceiling is actually some 1.5m above the acoustical ceiling one sees in the picture. The walls, too, are acoustically purpose-built structures built some 1m in from the actual carrying walls. It's really a venue for the top possible reproduction of comprehensible, intelligible and controlled sound. I'm a life-long audiophile. I've gone through myriad changes to my systems throughout the years. In this one, I spent the past 10 years fine tuning the interplay between the various components. Special attention was given to the equipment stands/feet as well as to cabling. #2: Nordost Valhalla upgraded with Oyaide 004 connectors. Upon first listen of the DFPC Reference, without any burn in, our first impression was promising. We decided to connect it somewhere to burn in for about four days without further listening for the time being. In the meantime, the Nordost Odin and Valhalla, the Siltech Ruby Double Crown, the Atlas Eos, and the DFPC Signature were already all burned in long before and had been part and parcel of my system for years. Their sonic characters were intimately known to my group of friends, and recognizable on different pieces of gear throughout the system. We've been listening here together for years. After four days of burn-in, now in direct comparison with the DFPC Signature, we found the DFPC Reference obviously superior. So superior, that it only took the first couple of notes in the music to clearly tell. This opinion did not waver throughout the evening. After the next few days, what became apparent was that the DFPC Reference burns in differently than any other cable we tried previously. It seems that even after 8-10 days, an unmistakable evolution in the sound quality was still being perceived. Presumably this has to do with its very low noise floor, which is immediately evident. After this second, longer interval of burn-in, our comparisons began in earnest. First, special attention was given to draw comparisons between the DFPC Signature and the new DFPC Reference. It (the Ref) gave a huge leap forward in terms of dynamics, lowered noise floor, and the fact that individual instruments seem to free themselves more than ever from one another. At first with the DFPC Reference, it seemed that the sound was somewhat lighter in character, but it also revealed during the course of the evening to be still morphing into more colorful tonalities, even after the 2 weeks of burn-in before. We decided to keep burning it in for another few days before comparing to all the others. Also, this would give our local group time to organize the arrival of more listeners from Berlin, Riga, and Kiev. Finally, after three weeks of burn in, everyone felt that the performance of the DFPC Reference had settled. It was now time to compare to all the others. It was an unambiguous result: the DFPC Reference topped all our other cables. When the Odin was introduced, it seemed at first that its dynamic characteristics were better than those of the DFPC Reference, but through a constant coloration of those dynamics, we found ultimately to be less organically musical and more harsh and irritating in sound. We decided to keep the Odin in the system and give it a longer listen. Fatigue set in. Switching back to the DFPC Reference, the music now sounded more organically musical, had more color and emotional content. So we decided unambiguously that the DFPC Reference topped the list! And we lost no detail. 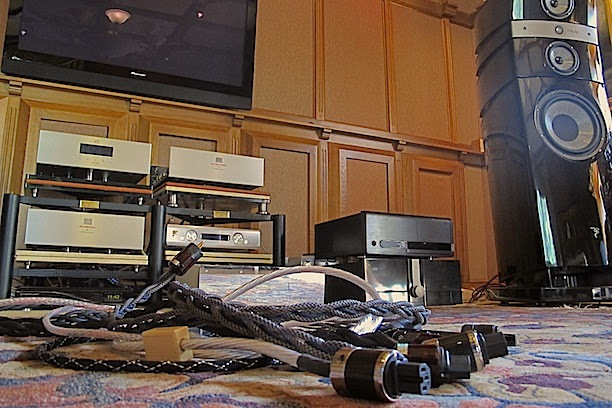 On subsequent days, we tried the DFPC Reference on various pieces of equipment (DAC, CDP, amps), and it proved its excellence regardless of what gear it was powering. If anybody would like to hear how the DFPC Reference sounds, they are welcome to come over for a comparison with the Odin, and you'll find it sounds better than the Odin. And we are talking about a 1:12 difference in price. In my main system I also use the LessLoss Tunnelbridge. Today I use the LessLoss Reference power cord, and to be quite honest, I do not think this product has serious competition. I'm using it with Devialet. It is so much better than anything else I've tried! As a user of the Devialet D Premier dac/amp, I am pleased I purchased the DFPC reference cable. It wasn't that I set out to make a general system upgrade - but that's what I got, I'm glad to report. I had originally sought to cure certain treble distortions and thinness of sound by introducing some tone control for added warmth through cabling changes. I had a headache about what to do for the best. Happily Mr Motek stepped in with some gentle 're-education' on the difficulties of putting our perceptions into words in any meaningful way - and the absurdity of tone controls. So I flashed the plastic. Ever-sceptical, I confess it was more in trepidation than excitement [oh what fun we have] that I hooked up the Reference PC. I needn't have worried. The result was wonderfully portrayed music - just so much better in every aspect than I heard [even] on the £500 cable I had in my system. As to the aforementioned treble issues, it didn't disappear, but at least I know where to look for the cure. I am taking a long, hard look at the source, [MacBook Pro SSD] and the good news is the Mr Motek with his vast experience has offered to assist. Can't say any fairer than that! Anthony C.
I am totally stunned ​how unbelievabl​y​ good the DFPC Reference power cord is. I installed a 2m sample to connect my Thrax Dionysos preamp and could not believe it. Everything sounds as if it​ ha​d​ more power, more dynamics​ and especially more speed and pace. On the other hand,​ also​ the tone colours are massively improved - it sounds so right! I did not expect so much improvement on the tone colours but it must be due to less power line interference and modulation with the music. The staging is deeper and more 3D and the clarity on the stage extremes (back and sides) is hugely better. Now you can easily identify what is going on on the very far end (side and back). I can not ​​higher​​ recommend a cable like this one and will try to swap more cables into my system. My old cable (which was outperfo​​r​med by the DPFC Ref​erence​) is in the price​ ​range of 7000 Euro. ​​​DPFC Ref​erence​ is a real deal. Your DFPC Reference cables are really too good to describe. The Reference differs greatly from the DFPC Signatures....more transparent ...more air....more details...very very good control (on high volume). The improvements are from the bottom end to top end. LessLoss started its business on Audiogon in late 2007. Within the first couple of month, word about LessLoss spread like wildfire among Audiogon members. Here is the feedback received from our clients during our first year of operation. This is from even before we had our own website. Louis is one of the best in the business, truly professional and very fast production and delivery. I am very satisfied by your superb service. Many thanks. Bought the Lessloss PC cable about a month ago; the quality and build are excellent. Compares very favorably with more expensive PCs. Highly recommended. Thanks! A power cable that makes a huge difference; simply an excellent design. First-class sales and service - highest recommendation. Cable #6 powering my Emm Dac6e which comprises part of my headphone system. Again, more resolution, detail, quietness from my Victor HP1000phones. Best single device in my system ever. Time to purchase more. I'm spreading the word re: this marvel!! Liudas is a honest and dependable seller, always answers my e-mail questions promptly. The LessLoss cable is a work of art, and sounds good too, cable is still burning in. I'm quite happy with my purchase. Very smooth transaction, lovely cables. Thanks Liudas! Kind and lightspeed fast service. 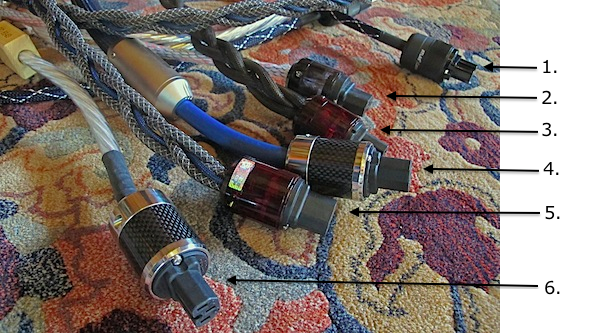 The cable is a steal and outperforms other cables, costing much much more. Increasing every aspect of sound you can imagine. Absolutely outstanding!!! Thanks again Liudas. Item arrived quickly and well packaged. Excellent communication. A great product from a great seller. Cable #3 added to the PS of my Cello Palette. Well, no more static as I rotate the dials for the various frequencies. 1st cable to accomplish this! 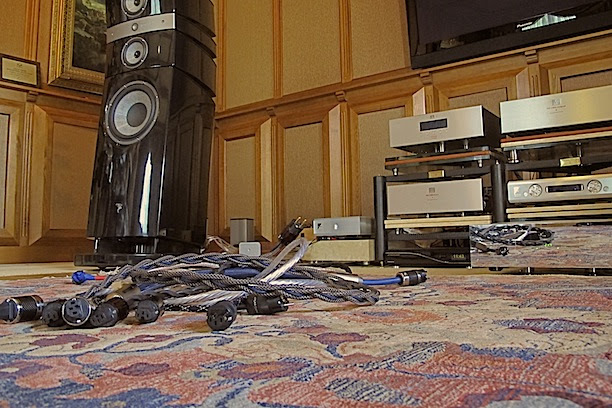 All power conditioners, including the Accuphase P1200 did not rectify the situation.Unbelievable! Fast shipping and great sounding cables. Would not hesitate to deal with Liudas again. This is my 2nd power cord from Lessloss. The first one was used to power my VRE-1, this one for the EMM CDSA SE. Again, a stunning result, w/quieter backgrounds, something that I thought I achieved w/the 1st cable. Next unit, the Xover.Unbelievable! Super fast shiping and a fantastic power cord. The very best I have ever used. Thank you Liudas! Excellent seller...and truely excellent cable. The Dynamic Filtering Power Cable is just fantastic...musical...liquid...3D. Thanks! The Lessloss offers WIDE dynamics.It's spooky quiet with an airy sound stage. Worth 10 times its list price.I am buying more! Very good sounding power cable,fast delivery-recommended.Thanks! Very good power cable at reasonable price, fast shipping, easy communication. Highly recommended, both product and seller. Thanks Liudas. Very fast shippment, the whole transaction took 3 days. Excellent cable, the best I've owned. It's my second purchase from Liudas so I know from experience that it will be even better after burn in. Highly recommended. Quick shipment and very good AC cord. I'll be back for more. STELLA SERVICE. Felt like a valued customer. Cables are simply amazing. The sound stage is huge and sibilance free. Amazes me the way instruments and voices soar out of thin air. Thanks Luidas. Outstanding service, excellent communication, and a fantastic product, one of the best power cables available for the $$$$. thanks again! I have now completed a full system (Digital/Power/Analog) integration using the LessLoss product. 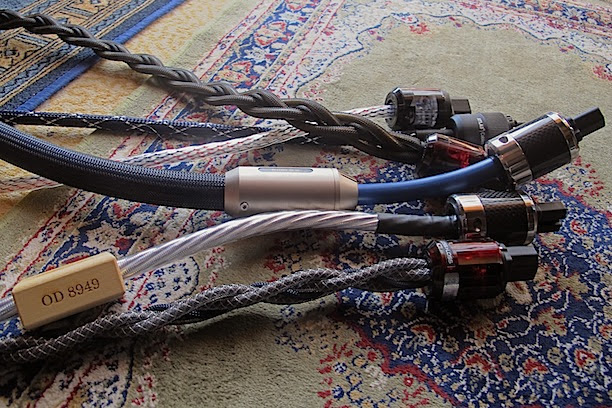 These power cables are a work of auditory art. Simply plug them in and be amazed! It's one product any sensible audio enthusiast should not miss out on. I now have 4 of these in my system and every one of these on each component brought my system up to new levels. Nicely built as well. Highly recommended component! Liudas is the gold standard in service. His cord in my system amounted to a hugh and positive upgrade. Thank you. Outstanding service and the cable is as stated. The best I have heard so far over other regarded power cables. Highly recommend!! Great on-going communications and terrific product. I still find it hard to believe a power cord could be equal to or even greater than a serious interconnect upgrade, but it is! Thanks Liudas for the great product and perfect customer service. The perfect seller in Audiogon: exceptional communication, easy transaction and fast and safe shipping. Recommended. Superfast shipping, good communication, doesn't get any better than this. Also, the cables are butifully made of high quality components. Thanks Walter. Excellent transaction. A great power cable and company. Worth the wait. A great experience overall, Liudas's enthusiasm for his product and the ongoing updates made this a very positive experience. The cord has made a significant difference in my system, most notably a much lower noise floor..
Trustworthy and very knowledgeable seller/designer/manufacturer. Kept in touch with updates and info. while cord was being manufactured and processed. It's all good - and all very high end. 2nd entry; bought more cables. IMHO, better powercables than these are not available! Lessloss p/c's are MORE than a system upgrade. And 2 day delivery, from Lithuania?!! Amazing product!!! IMAGINE every listening session as your best listening session. Every recording played the best it can play. Your equipment performing always at optimum. Lessloss makes it happen! These cables are the best of the best!!! Excellent seller and Audiogoner, great communicator. Power cable is outstanding, excellent... Great soundstage, excellent definition, black background as promissed. Liudas is great to deal with: excellent communication and service. The cables are very well made and well worth the money. Thanks! Outstanding transaction and outstanding power cable. Great transaction well worth the wait, this is by far the best powercord I have used in my system over the past 20 years, some cost as high as $3,000 and this power cord for $500.00 beat them all hands down and is a steal at its current asking price. Top notch construction, performance to match, and a great transaction. Highly recommended because the cable does what is claimed, lowers noise while improving dynamics. Thanks! If it was just always so simple !! Excellent, correct and accurate communication. Absolutely no loss at all even before listening to the cables. Highly recommended. This cable was the BEST purchase that I've ever made!! I’m not affiliated with this product in anyway, but feel sorry for Audiophiles who don’t purchase these cables. Once Audiophiles try this cable, they will wonder how this product can be sold at such a low price. I’m baffled… In an industry full of snake oil, unethical cable retailers, enormous profits and scams - this LessLoss "Filtering Power Cable" is a "breakthrough product" which blows away the ALL competition at ANY price!!! I honestly don’t know how LessLoss can make a profit while using Oyaide connectors, hand braiding and an incredible passive AC filter. LessLoss "Filtering Power Cable" are sold from a manufacturer /owner /designer who is trustworthy, ethical, knowledgeable, and a pleasure to deal with. Take a chance!!! !, PayPal your money to Lithuania - and you'll be rewarded with great Customer Service, and the finest power cord made. Hear for yourself what you are missing!!! Thanks Again!!! Excellent service and communication. Fast shipping. Thanks, Liudas! Excellent products! Delivery of the power cords and XLR digital interconnect cable,was received within 10days of shipping. Luidas kept me informed on the status of my order. Very good communication and feedback to my inquiries. First-rate all the way! The cables are sensational, and the price is a steal. The 1-2 week delivery from Lithuania is well worth the wait. 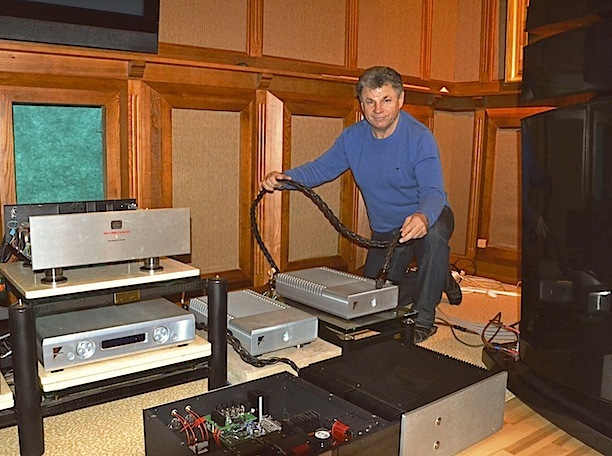 Liudas and Vilmantas at LessLoss are perfectionists pursuing their love for the art of music reproduction. Before upgrading your gear, please try the Lessloss Blackbody. It works wonders with my equipment and adds a realism, a new quality to the sound that will leave you speechless. Absolutely wonderful piece of gear. Print any or all of these reviews here.